Firstly I'm not an official Eurobricks Reviewer but having purchased the set and seen that no-one here has reviewed it yet I'd thought I'd have a go. You'll have to excuse the photography, it's just me, my iphone and a coffee table in a conservatory, no fancy studios or cameras here. The Koi and it's associated Skin "packs" are the first in potentially new line for TLG under the banner of "Forma". The set and the Forma Theme have been promoted, advertised, aimed and sold in a different way to any other recent set that I can think of, this review will hopefully show you a little of the result. I found my way to this Theme via discussion on Eurobricks in the Technic section and it got my attention enough that I ended up on Indiegogo a kickstarter website. The set itself seemed to be promoting itself for the generation often known as Millenials (or Generation Y), with the aim of being a relaxation tool in a similar way colouring books for adults were a big thing here in the UK a couple of years back. The set was only being offered to the UK and US markets (I assume key target audiences) and was being promoted with a discount over their assumed retail should it ever appear in a store. Along with the main set, 3 packs each with an additional Skin were being offered to transform your Koi or you could purchase the whole lot in a "Super Box". I signed up for the whole experience at the end of September 2018. Part of the "experience" was a series of email updates during the process, I assume this is usual in a Kickstarter project as I've never bought anything like this before. I bought this with my own hard earned money and so all the comments in this review are my own. 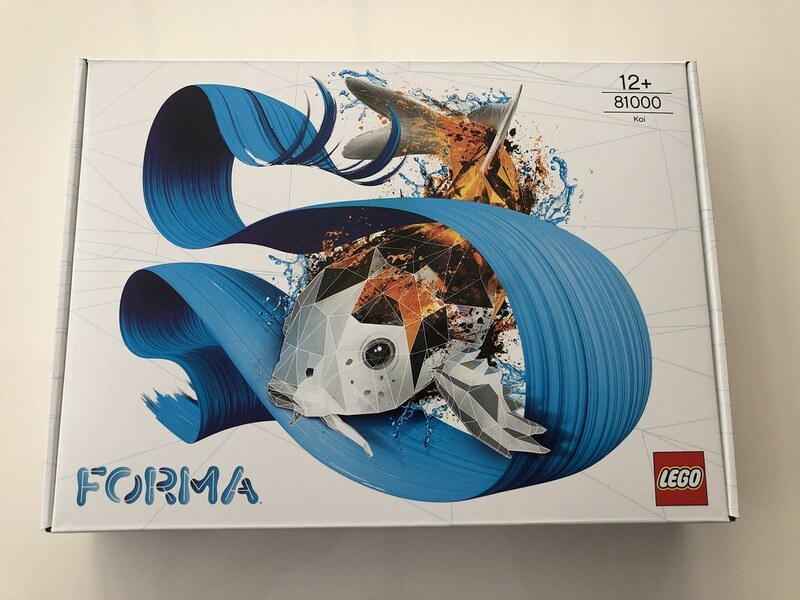 So here is where things differ from the usual sets, the box doesn't show any images of the set itself, the front shows a sylised image of the Koi along with the Forma logo and discretely in the corners the Lego and set number, name and age suggestion (12+ in this case). The rear of the box sparks further interest with just some discrete blue lines, like wireframe, and some small text at the bottom to let you know what this set is meant to do ... "Add a splash of creativity to your day". The sides of the box reminds you who it's from. 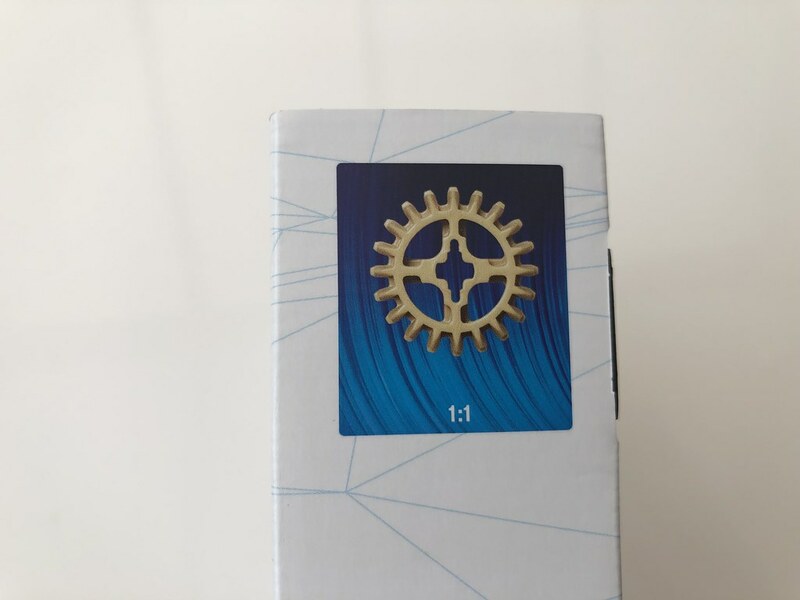 But a hint of a traditional box remains on one side with a piece in 1:1 scale, in this case a gear. To me this is very odd as there aren't any images of the completed model on the outside of the box so there's no relevance to this scaled piece as you don't know where it fits in the model. The box itself will be familar to those who have bought Ideas or Architecture sets with the nice easy to open lid and the box generally feeling like a quality product, a comment to remember for a little later. When you open the box you're greeted by another inspirational message "Dive into new inspiration. ", I wonder if there was a competition in the Forma development team for who could come up with best fishy puns? 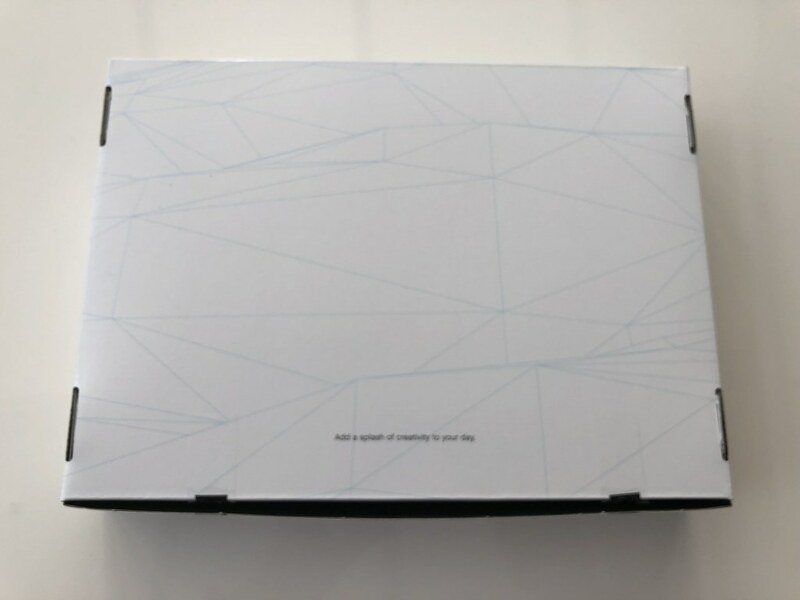 There is also what appears to be a modern digital barcode on one of the side flaps of the lid, I won’t post it here, I don't recall seeing this on other boxes and when I scan it with a QR code app on my phone it doesn't recognise it. 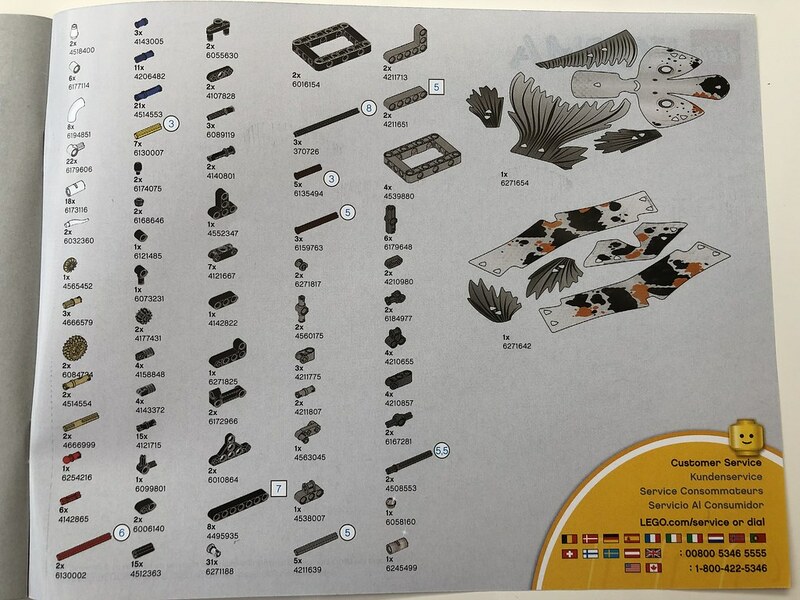 Apart from the obviously new Skin sheets (which we can't really class as new parts as they're like a sticker sheet in any set), there is only 1 new part in the set it's identified as 6271188 in the parts list and is basically a Technic 3/4 pin 32002 with a Cap on the top and it's used to hold the Skins on the model. Here it is (in white) next to a collection of Technic 1/2 and 3/4 pins for reference, it's certainly nicer than using the 6628 Towball Pin to mount pieces as in the 42074 Racing Yacht set. The only other part of interest is actually the 6628 with a single one of these in Red, this part has only been released this year in the colour in the 42096 Porsche 911 RSR set. Here we have the model in all it's glory. I've added a minifig for scale. This is a set that's meant to be displayed. The model itself is a "kinematic sculpture" and you crank the handle at the front to make the Koi "swim". Strangely you do this by rotating this anti-clockwise (counter-clockwise), supposedly this is down to one of the development team being Left Handed. I looked at switching the gear and handle round but the swimming mechanism won't allow this, well not from my very quick look at the mechanism. The Skin packs 81001-3, Shark, Splash Koi & Ink Koi come in carboard envelopes and contain the 2 x card sheets, a bag of new pins and a simple fold open 2 sided instruction sheet for how to covert the Koi into the new fish. I've only opened the Shark skin so far and not fitted it yet. TLG also sent an email with blank patterns to make your own skins, so you don't even have to make another Fish, I'm sure with a few other parts you could easily reskin this into a Lizard or Dragon. 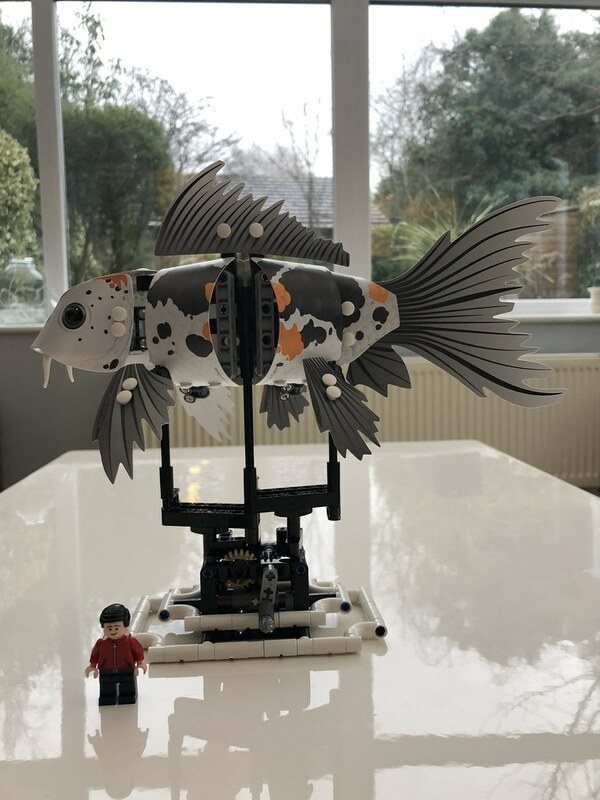 It only took me 40 minutes to build but it was an enjoyable experience, but I do find that building from instructions is relaxing and enjoyable, the only challenging part was making sure you had the mechanism and the fish structures aligned in the right angles when you marry the 2 together. I do like the set, I mainly build in Technic and this model is 90+% Technic, and importantly it looks good as a display piece on a shelf. The main downside I've found is the model as a whole is very light and so when you place it on a smooth surface (like a conservatory coffee table) you have to hold the base still to crank the handle, thankfully the macaroni pieces provide a good finger hold location. As to if this set reaches people new to Lego or people in their "Dark Ages" I'm not sure, especially looking at the reselling sites where there are a significant number of these up for sale. I don't know what TLG plans to do with this Theme or what sort of models would come next, would the continue the kinematic sculptures or do something else, but I'll definitely keep an eye out and see what's next. Skins can be easily switched for other fish as long as you bought them. Hope you enjoyed my review, thanks for reading it. Nice review - thanks! I'm still waiting for mine; what is the motion like? Any change from the promo videos? I and many others seemed to have that as our key piece of feedback: the "swimming" motion could be improved so that the body better "follows" the head in more of an S shape rather than basically just wiggling back-and-forth. I assume they didn't do anything to address that, but I'm curious! 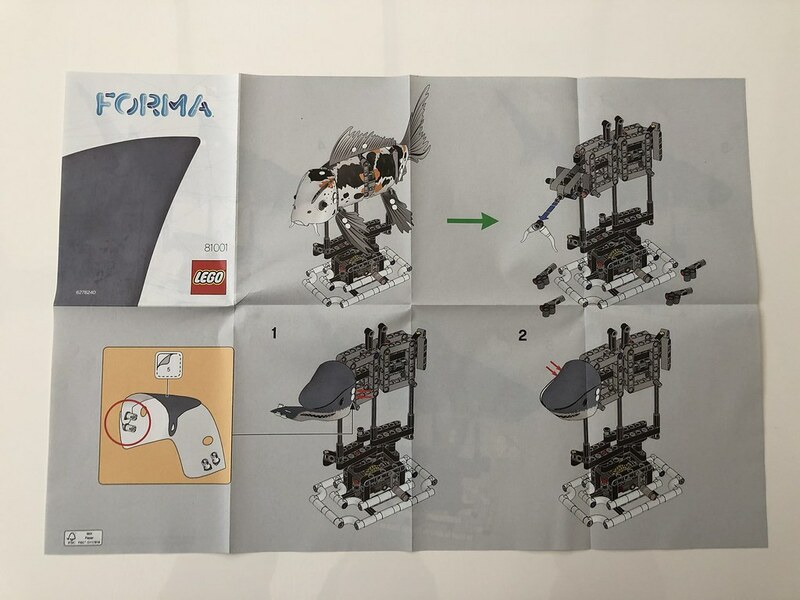 Nice review and interesting take on the new LEGO Forma. This is a brand new design realm and is unlike the traditional themes too. I haven't really decide on it and is pretty neutral towards its intended target market as well. I am not exactly sure who could be interested other than adults (which I am assuming), and your review had shed some useful thoughts which was previously unclear to me. Thanks for sharing. Nice review! I am not sure if this kind of lego is interesting for lego fans. I found the original video for the project. @deraven If I get time tomorrow I’ll try and convince the better half to help me out and do a quick film of the final products motion and the problem with the sliding on the floor. @WhiteFang I think it’s only aimed at adults. All the marketing has been done around the relaxation for adults as you can see in the launch promo video above. @magicrulo90 it depends upon how you define Lego fans. I think it shows how diverse Lego can be with creating a model that isn’t outwardly Lego. It’s also quite a nice simplistic introduction to Technic if you’ve not worked with that range before. You are right, Lego is for very diverse people... maybe a more complex model could be interesting for me. Ah, I've been wondering when a review of this set would pop up. Being a broke college student, I couldn't afford to pay for it though I do want it. I like the concept of it, having a smooth kinetic model from Lego. However, using printed sheets of folded plastic doesn't seem quite right, I think the myriad array of slopes and curves is perfectly acceptable for use in making a fish. Final comment... GO LEFTIES!!! WOOOO!!! I guess that depends on what TLG's definition of "successful" is for this venture. It's not being sold generally (at least not yet), just a single run to fulfill the backers on Indiegogo. With 7,700 backers, it's a very small run. It'll be interesting to see if they do more with it and either put up a DTC version or do adapt it to a wider-release with what they've learned from this experiment. And, of course, they could just put out a few more items on Indiegogo - who knows! Nice review! Thanks for posting it. How about joining the Reviewer's Academy! I bet you would nail it in no-time. Here’s a video as promised, it shows which way you have to crank the handle, what happens if you try to crank it too quickly (slides very easily) and also what the swimming motion looks like from the top. For a simple single gear drive and multi link system the motion is pretty good. @Jim no idea where I got the review format from ;) I feel I’d need to get a light box or something if I was to do proper reviews. Something to discuss in a PM? Not really my cup of tea! I'm puzzled about why you include LEGO Dacta in that list, considering that it's pretty much remained a stable and long-lasting success, just under a different name for the past decade or two (LEGO Education). 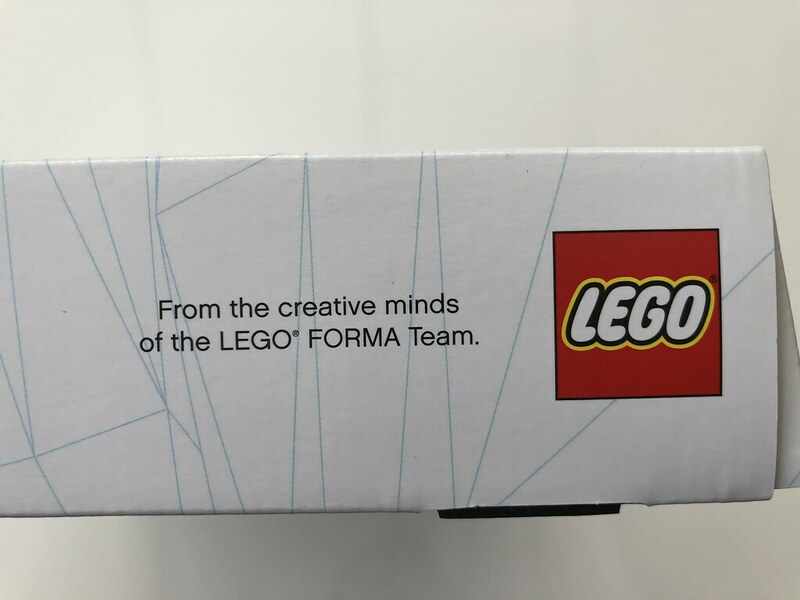 And Forma is definitely not going to be the next Jack Stone or Galidor, considering that what made those a failure wasn't just their limited appeal, but the fact that LEGO staked unreasonably high expectations on them right from the start — whereas with this, they are clearly approaching it as the kind of niche, experimental product that it is. Not to mention, a big part of both the reason AFOLs hated those themes and the reason they cost LEGO so much money was their almost complete reliance on big, highly specialized parts not shared with other themes. By comparison, this set is primarily made up of generic LEGO Technic pieces, other than the new skins and pins. By comparison, this set is primarily made up of generic LEGO Technic pieces, other than the new skins and pins. Can you clarify? If I said my goal was to sell 500 of something as an experiment to collect data, and I then sold 7,000 of them and had a lot of interaction with the buyers, how wouldn't that be a success? As Aanchir said, if they were not producing a whole line of these for broad distribution expecting it to perform like Star Wars or Harry Potter, then we'd have a Jack Stone or Galidor situation. Maybe you're not aware of how Forma was sold (past-tense), or do you have more information than we do about future plans for the line? They put these out for sale only on Indiegogo looking to sell just 500 of them, and they sold 6,674. And now they're fulfilling the orders for those buyers, and not stated intention of selling more of this type of product, at least not at the moment. 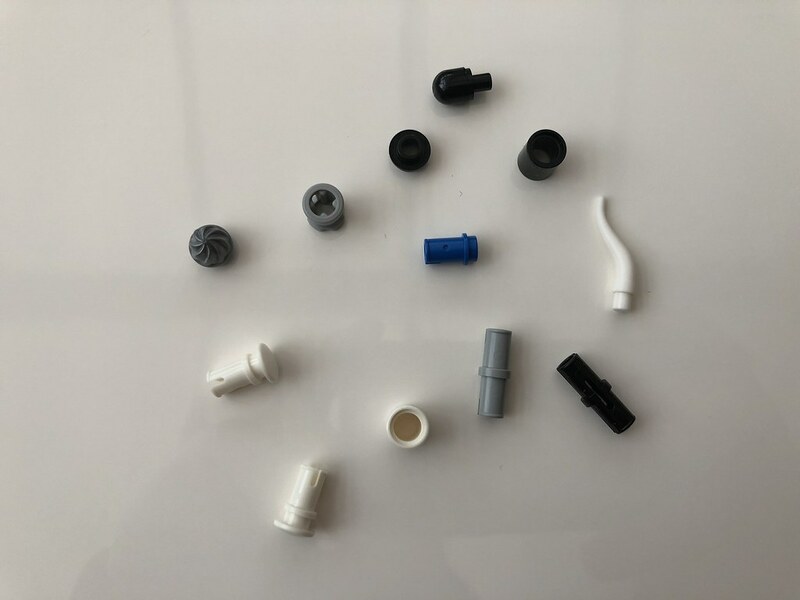 I would imagine that Lego will use the data they've gathered here to produce an appropriate number of similar products for sale if they choose to go that route, but so far there doesn't seem to be any indication that this was anything more than a data gathering experiment. I think the skins are the biggest part of this experiment since that's generally exactly what Lego has been beat up about in the past (big specialized pieces rather than embracing the Lego creative experience and brick-building things), but I see how it fits in this more unique and targeted project. If there were a line of these that focussed on the engineering behind the kinetic sculptures and then just dropped the skin on, that would seem more in keeping with the Lego brand to me, and I think this feels weird because it's kind of the opposite. Not that there's anything wrong with relaxation and beauty, but I suppose that's what Lego is looking at here: is there a market for their products if they flip the priorities they usually espouse? @deraven - have you got a Forma set? The reason why I ask is you do precisely what you say above. The first few stages you build the base and it’s gear mechanism. Then you build in stages the substructure of the koi and then join them together. Then you join the substructure to the base and to do this you have to get the alignment right or the mechanism doesn’t work. Once you’ve done this you can crank that handle to your hearts delight and appreciate Technic in motion. And then the Final Steps are to “drop the skins on” as you put it. So by that Lego have done precisely what you described. And actually if you think about it the skins have to go on last so you can handle it for assembly as they’re flexible. I also think a brick built “skin” to the model would have been too traditional Lego and still look like a Lego model on display which would turn some of the target market off. 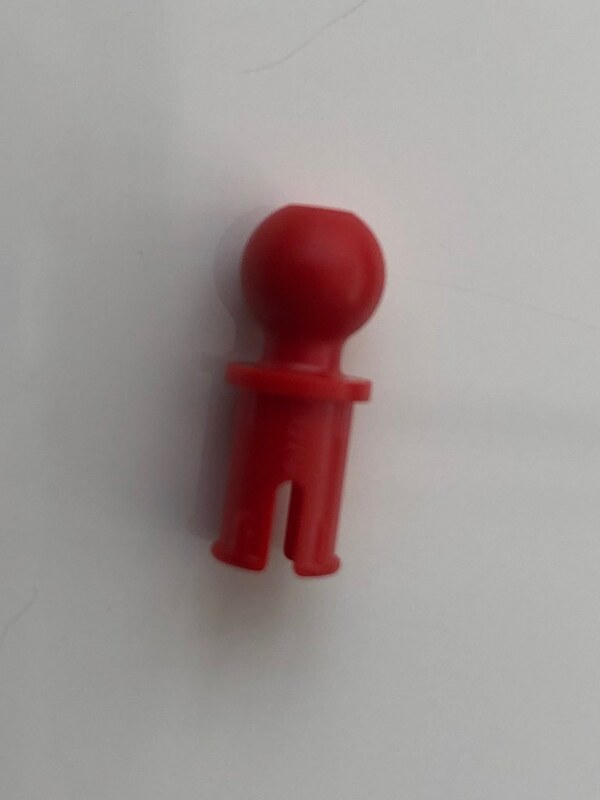 This is meant to be Lego for non-Lego people that doesn’t look like Lego. A brick built skin would undoubtedly look great to a lot of us, as someone has proved in the original Forma thread but I think it wasn’t the look they were after. I do actually hope this trial, which is obviously what it was, was deemed a success and will spawn more sets. The only question is how will Lego sell the product line going forward? If it’s aiming at new untapped markets selling them via their website or brand stores might not be the way forward. I like the idea of it, and the models are really cool. 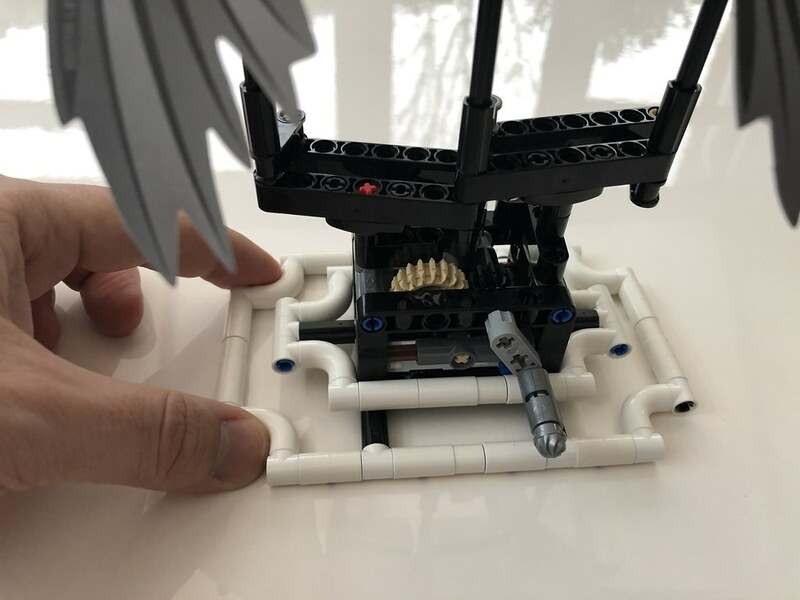 I want to see LEGO release more kinetic sculptures like this, and depending on the price, I might pick one up for myself. But to me this feels like LEGO is trying to market something that avoids the stigma of LEGO being "a kid's toy", which it has never been solely. Which is something that adult coloring books have had to do, but LEGO has never needed that. 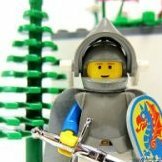 LEGO is for everyone, and they've done a pretty good job of communicating that, especially in the past few years. 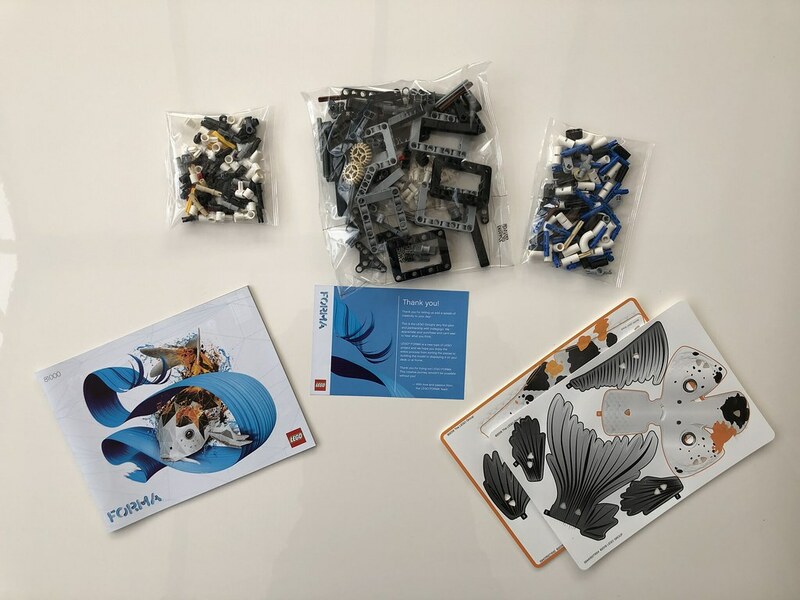 Forma stimulates creativity and helps people relax no more than other LEGO sets do. 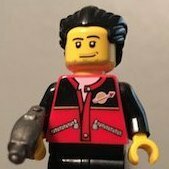 Maybe it's because I'm surrounded online by unabashed LEGO fans, (as I'm sure most of you are as well), not to mention our own biases as fans on a forum dedicated to that, but I'm not seeing these people who are too afraid or embarrassed to touch LEGO these days. Sure, but not much more than other parts that come in the form of a paper/plastic/cloth sheet like pirate ship sails, tents, some dragon wings, etc. And because each set of skins comes on just two sheets, it's not a huge number of new elements from a production standpoint, compared to stuff like Jack Stone, Galidor, or even Fabuland that had huge numbers of new elements that weren't shared extensively with other themes. I mean, I agree that this is aimed at a demographic that might not be interested in the conventional "play themes", but the same can be said to an extent about other existing themes that skew towards an older audience like Technic or Architecture. What sets this theme apart, IMO, is that it's being framed less as something serious, sophisticated, and focusing on the great works of human achievement, and more as a relaxing, calming building experience resulting in a product that celebrates the harmonious, rhythmic beauty of the natural world. In general it's a much less masculine-coded product, which extends to the marketing and lifestyle photos. Architecture sets are marketed via motifs like bold, minimalist layouts and references to the models' relevance to world history, geography, and famous people. Technic sets are marketed with rugged outdoor or garage backdrops, intense fonts, and an emphasis on speed and mechanical power. This product, on the other hand, showed up on Indiegogo with a logo made from colorful bubble letters, layouts featuring artsy and whimsical patterns, and lifestyle photos focusing on contented adults in a cozy home setting. "...add a splash of creativity to your day"
What do they mean ..... Only only day? many days, everyday? uhm...with only 4 skins in full pack? 1 skin to modify out of 4? and that for the "FULL pack". What is a full pack these days, hum? A bag full of candy aint just 4 candy bars.... Id imagine at least 20 items +...dont you? So why didnt they include some blank plastic sheets to cut out your own ideas? In different colours, multicolours, patterns etc...cant be that expensive given the plastic price for them. THAT would have been a big step for lego and "Forma" - almost no precut ideas and material blanks to customise! UNIQUE to lego! Besides, what can a "normal" cutsomer with no knowledge of third brand plastic materials (correct thickness, durability, paintability) do to be creative beyond what is provided in the set? He/she had to go to a construction store, read about materials, order online etc. - you dont just have plastic sheets lying around at home to add onto this set. (Ok, we AFOLS might...). After work, buying this set - how many would take the extra mile like that? Its the group they aimed at ,right?....stress relief, mantra like motion in endless loop, using pens a bit? As if they are just really carefully figuring out if there is still creativity left in people with this project. "Maybe they colour it - maybe they dont - lets not force them, give them only one option to be a bit creative themselves and relieve their stress (as stated on their survey)!" the rest is allready "readymade" so a satisfying result is possible. It should be the other way around IMO! I get it - bricks are creative per se, but they could have really made this set directly into something really unique. Why just scratch on the surface with an allready experimental product? 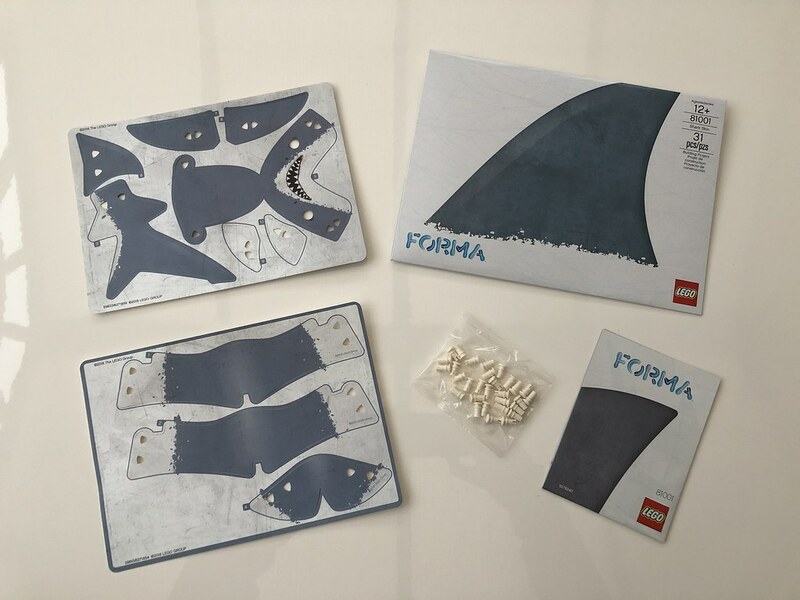 Its about customisable skins on their front box and establishing this as something new "Forma" - then why so few options...feels like every other LEGO set in a way. Even if we dont want to be that creative, we'd need more sheets to coulourize...no? for daily use? After 2 days and switching all 4 skins it might get a little boring and dust catchy. Sigh, tbh great potential poorly executed at a high cost with limited distribution (for now). Loving the Set design though, imagine it in an upward down motion for whales/dolphins...so many possibilities. I mean I agree but you can often use Sail and wing pieces in multiple ways. Theses skins only work if the inner beams are molded a specific way. And yeah it's not a huge investment but if they were to make more of these? SEE That's what I mean when I said the skins are specialized. Which is something that adult coloring books have had to do, but LEGO has never needed that. LEGO is for everyone, and they've done a pretty good job of communicating that, especially in the past few years. 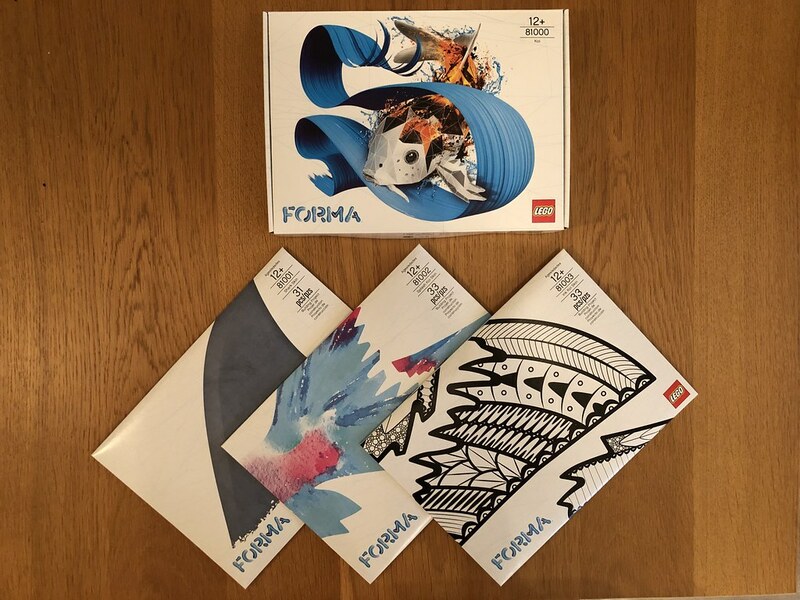 Forma stimulates creativity and helps people relax no more than other LEGO sets do. Yeah this is what I mean It's kinda like false advertisement It's no more stimulating than any other set. In fact I say it might be worse with a lack of minifigures. 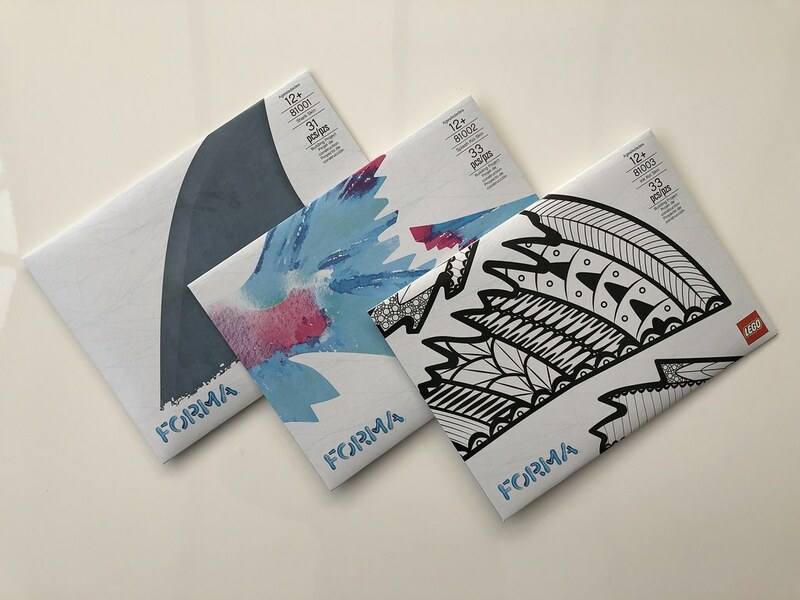 @deraven - have you got a Forma set? The reason why I ask is you do precisely what you say above. I bought one and some skins, but still awaiting their arrival. Perhaps I wasn't clear/precise enough: I know that's the sequence in which the koi is built, but what I'm getting at is that it's not the focus of the model or the marketing. They're not being marketed as "look at these amazing kinetic mechanisms you can create with Technic" but instead as a "relaxing building experience." Nothing wrong with that, per se, but it feels like they're focussing on the skin and not the mechanism, and I personally feel like the mechanism is what's best about Lego and the skin... isn't. But, again, as one (maybe, eventually) very small product line in with everything else it could be interesting. I mean, Lego makes life-size foam swords and shields for kids to use themselves and we're not spending time complaining about that product which has much bigger production numbers than this experiment. These could definitely be used on differently shaped MOCs, just not necessarily to create the same fish shape they're designed for. Much like how plenty of MOCists use other cloth, paper, or plastic sheet pieces for stuff other than what they were intended for. And if they made more of these? It's still, what, two new elements per set? 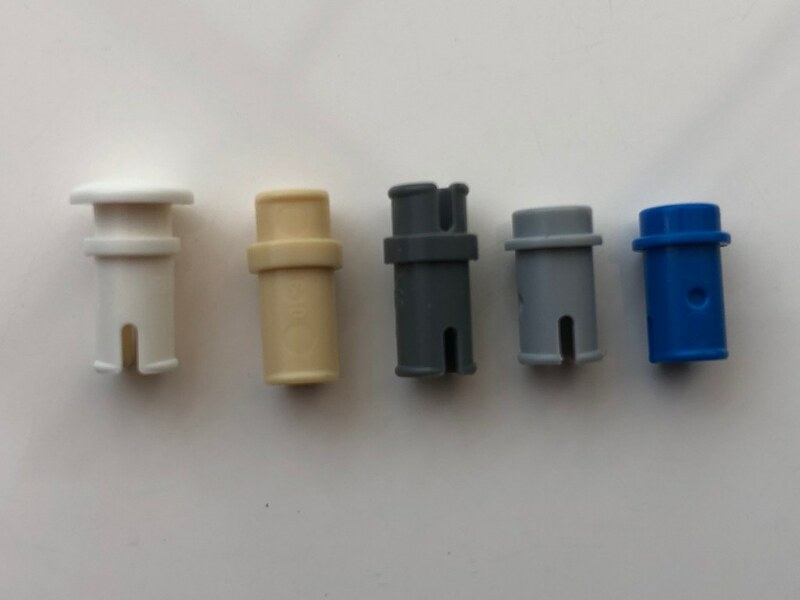 And much like a sticker sheet, they pretty much only have to be machine printed and cut, rather than needing expensive and mechanically intricate steel molds like many more traditional parts. Even if LEGO weren't doing these as such a limited run, I don't see any way that they'd end up losing a lot of money on them. I think comments like this really betray how easy it is to incorrectly assume our own experience is universal. Everybody finds different stuff creatively stimulating, and there's no reason to think that minifigure-based play is something everybody would enjoy, particularly all adults. If the adults who stuff like LEGO Forma is trying to appeal to were interested in existing LEGO themes they'd already be buying those themes. But it's possible that they find those themes uninteresting, the same as how many of us find themes WITHOUT minifigures uninteresting. But in most cases, AFOLs like us who enjoy LEGO sets as much as kids do by far the minority on both a global and a local level. 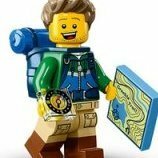 There are a lot of adults out there who presently have no compelling interest in LEGO, but who might change their tune if a LEGO theme came about that was more tailored to their creative interests. Small, low-risk product initiatives like this are a pretty decent way of testing out ideas for stuff that might help capture at least part of that wider adult demographic.